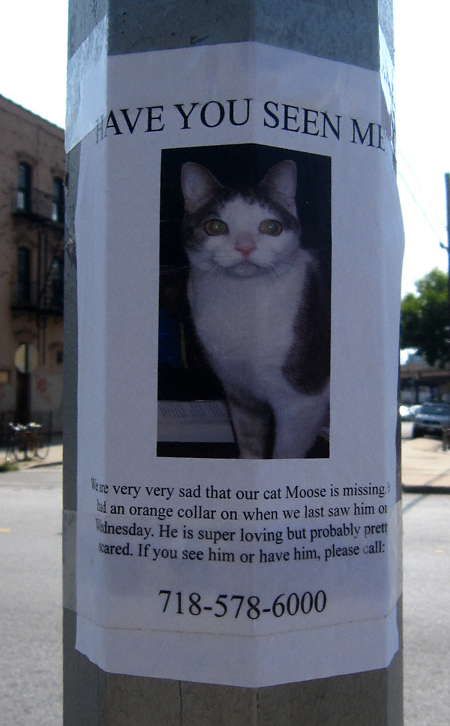 Speaking as a pet owner my heart sinks when I find fliers like this (which is located at the intersection of Herbert Street and Graham Avenue in Greenpoint). The previous having been written who cannot help but love a cat named Moose! If you have seen this cute fella or know of his whereabouts please contact his “people” at the above telephone number. Thanks! P.S. : Also MIA in the Garden Spot is a cat named Lester. Here’s the flier I found about him from the intersection of Norman Avenue and Newel Street. One Comment on Has Anyone Seen Moose? Non-pet owner here wondering if any of these missing cats ever get found or is it the reason why Greenpoint seems overrun with kitties. How about a collar with a nametag for cats? Or getting that microchip? I just feel like if I made the emotional and financial decision to get an animal, I would microchip it and collar it, even if it was intended to be an indoor-only animal, because clearly that doesn’t work too well in the city, hence all these signs. 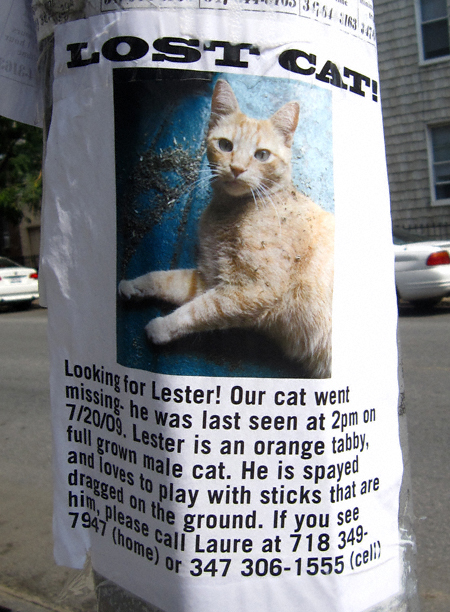 I hope you all find your cats, I will keep an eye out for them.